The issue becomes even more critical as Mike Pompeo is expected to land in Islamabad during the first week of September, during which high-level meetings will take place, including a meeting with PM Imran Khan. "Pompeo had expressed his willingness to work with the new government toward a productive bilateral relationship", Nauert said. After Pompeo and Khan's call, the state department issued a press release about the conversation held between the dignitaries. There are no mentions at all in the conversation about terrorists operating in Pakistan. "They (Pakistan) are an important partner". State Department spokesperson Heather Nauert stood by the readout on Thursday while speaking to reporters hours after her Pakistani counterpart demanded on Twitter an immediate correction to what he dismissed as "the factually incorrect" US statement. "I have also forwarded a suggestion that all channels should submit some amount as security deposit with the government so if they fail to pay salaries, we can pay their employees", said Chaudhry. The row comes ahead of a planned visit by Mr Pompeo to Islamabad in the first week of September to meet with Mr Khan, who was sworn in as prime minister last week. 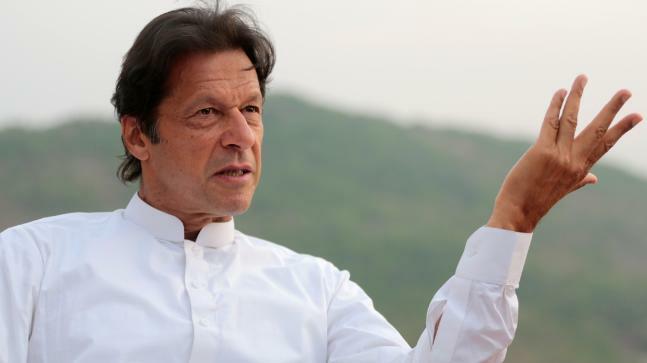 The decisions were made at a Cabinet meeting, chaired by Prime Minister Imran Khan on Friday, according to Information Minister Fawad Chaudhry. It is pertinent to note here that the minister had announced a day before that opposition will also have its say in the editorial policy of state television and radio and he will make efforts to bring the Pakistan Television's English wing at par with global media. Relations between the US and Pakistan have deteriorated since US President Donald Trump's administration began taking a hard line on Afghanistan a year ago. "We don't want to land on the FATF's black list because it would have a negative impact on Pakistan", he said.